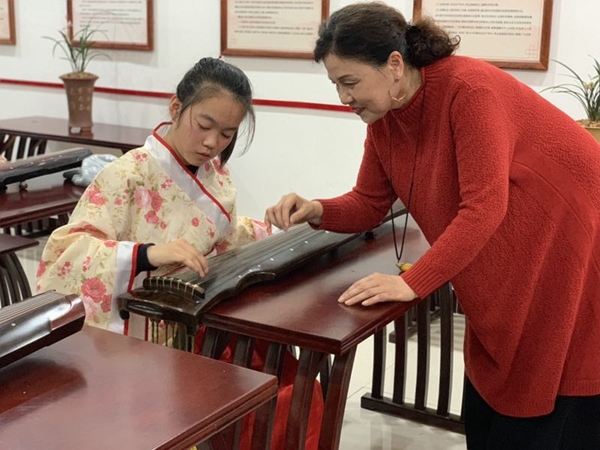 Villagers learned calligraphy and Chinese zither, and watched performances at the cultural practice station in Nanxue village of Qufu, East China's Shandong province on Nov 20. "Now neighbors are having harmonious relations through doing paper-cutting, listening to lectures and learning musical instruments together. Everything is different from before," said Zheng Xia, a villager of Nanxue village. According to Shao Min, director of the station, the activities make the relations among villagers closer and show them China's traditional virtues. There are activities themed on traditional culture every week in Nanxue village. Cultural practice stations like that of Nanxue village have been promoted in Qufu. In February of this year, as one of the pilots of the cultural practice center in Shandong province, Qufu has conducted a series of activities through establishing teams of cultural talents and integrating public venues such as village activity rooms, Confucius centers and Nishan book houses. The city has established a three-level work system of city, township and village, and has built stations in 41 village pilots. Focusing on the theme of benefiting farmers through ideological and cultural education, Qufu will build the cultural practice station project into a comprehensive service platform at the grassroots. "We must not only help thousands of households learn about new ideas and policies, but also meet their needs in various fields of culture, education, and science and technology," said Liu Dongbo, Party secretary of Qufu. Wujia village took the lead in setting up the station in Jining in April this year. Through integrating idle village supermarkets, it focuses on developing the museum of rural memory and introducing the village’s history and culture. It has carried out more than 30 practical activities related to the waist drum, tai chi and square dances. 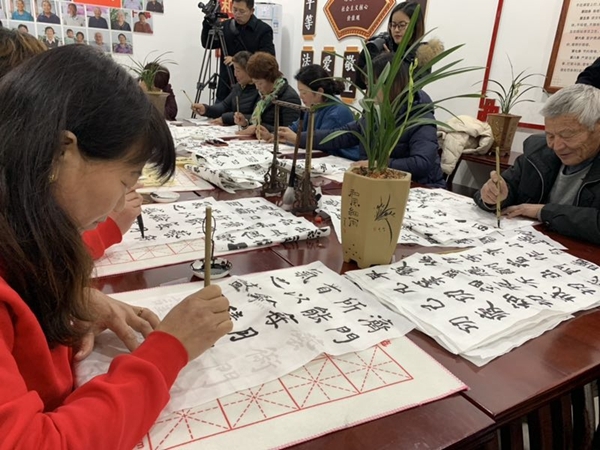 On the weekend, more than 50 villagers in Shengyuan village, Nishan township of Qufu, came to listen to cultural lectures in the Confucius school, where volunteers from Jining College taught calligraphy and paper-cutting to children in the village. 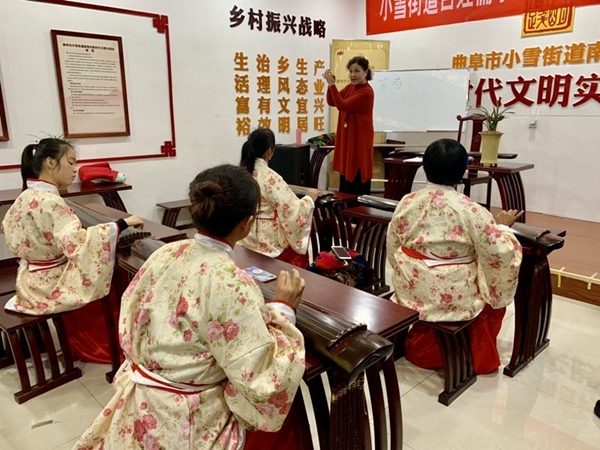 Feng Jinghua, secretary of Shengyuan village Party branch, said volunteers teach lessons based on villagers’ desires, enabling children to access the same educational resources as their peers in the city. Villagers have greater involvement in these practical lessons, which are becoming richer in content. "The cultural practice center meets the spiritual demands of the grassroots and is also an important starting point for rural revitalization. Qufu will continue to promote the development of excellent Chinese traditional culture," said Liu.